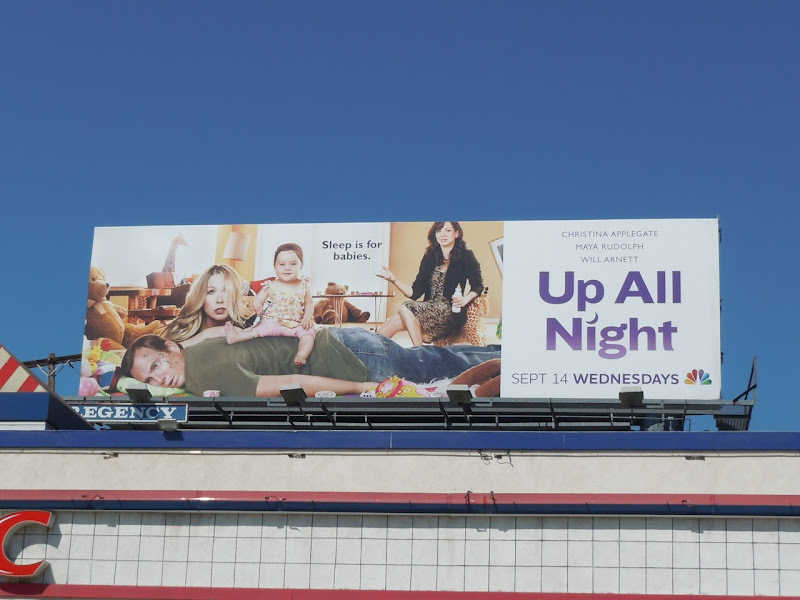 As these fun billboards suggest, Up All Night is a new comedy about the trials and tribulations of parenthood. 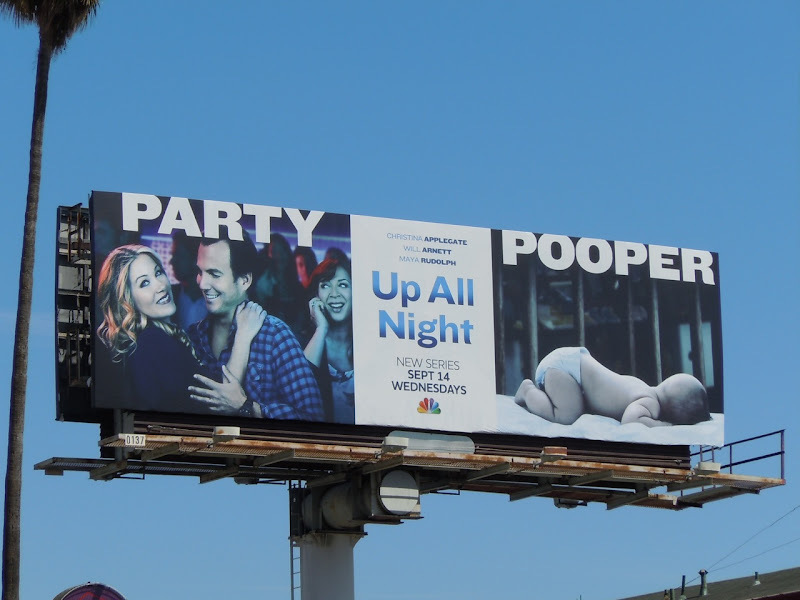 You'd hope sporting comedic credentials like Christina Applegate, Will Arnett and Maya Rudolph would give them more than a fair chance of surviving the new TV season battlefield when shows vie for attention, and ultimately viewers. 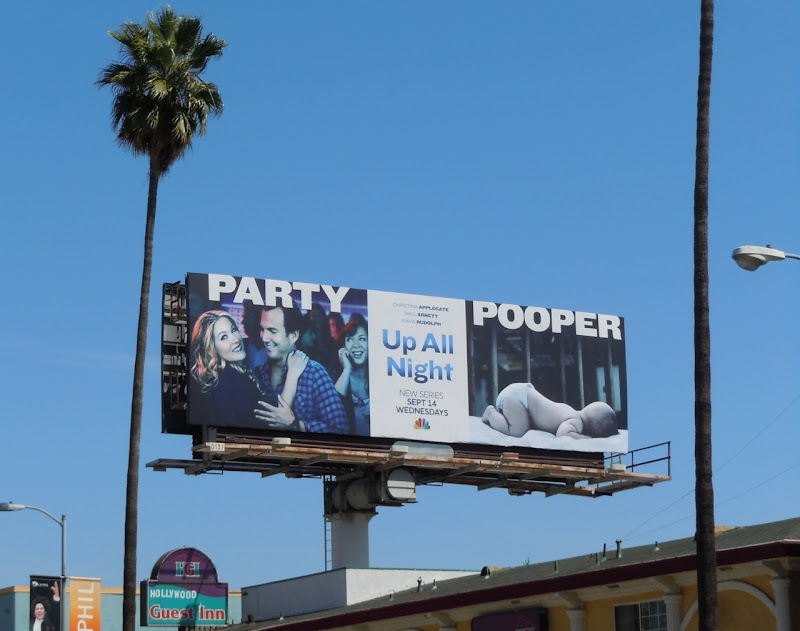 These evocative billboards for the new series were snapped at two different locations along Sunset Boulevard in Hollywood on August 21, 2011. 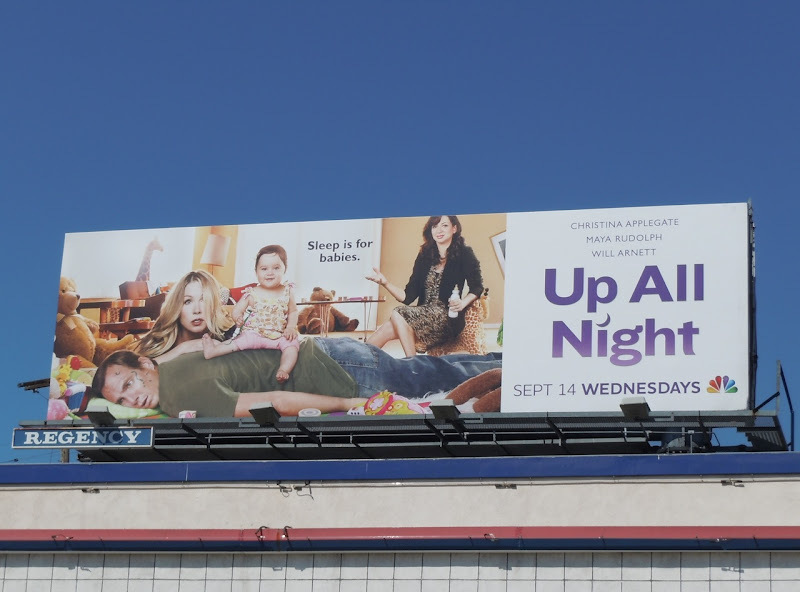 If you like these billboards, you'll probably enjoy this Raising Hope season one billboard too.